Puppeteers, Kaitee Treadway, Harry LaCoste, and Libby Schap. Music in Motion showcases 100 years of modern music brought to life through puppetry and abstract performance art. 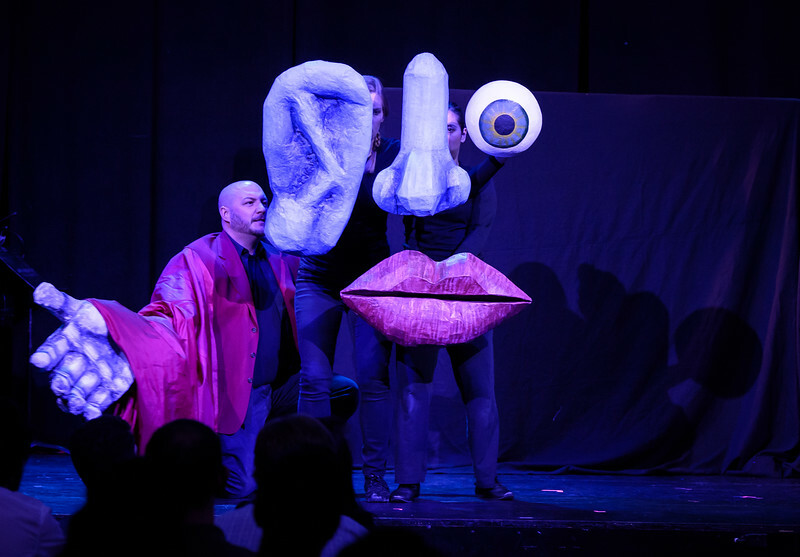 The production brings together Juventas' acclaimed ensemble, and Puppet Showplace's award-winning puppeteers, who translate incredible music into theater. This production is made possible through the support of the NEA, Massachusetts Cultural Council and Cambridge Arts.